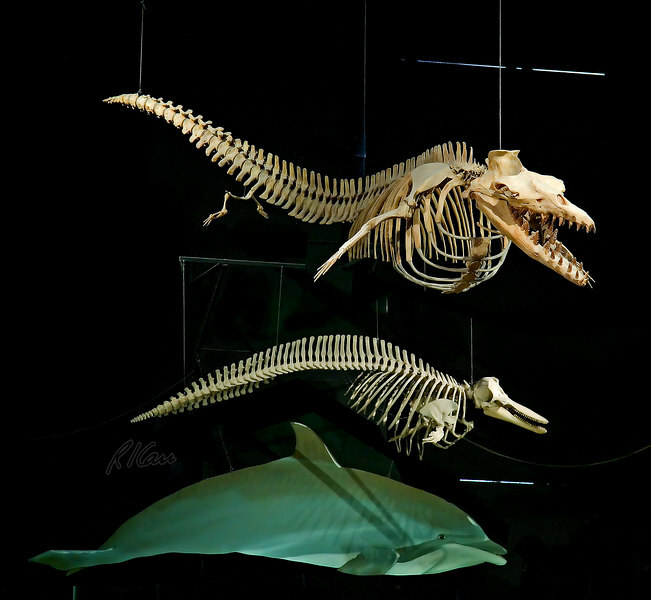 Prehistoric animal skeleton fossils: Dorudon, an archaeocete whale, is upper skleton. Below is a modern cetacean, the bottlenose dolphin, shown whole at bottom. Exhibit Museum of Natural History, University of Michigan, Ann Arbor, February 2006.